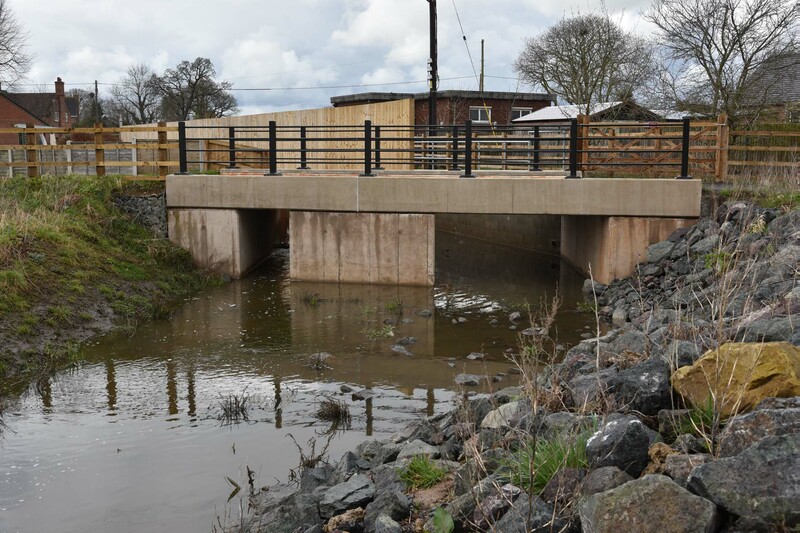 The A49 at Hadnall, Shropshire had previously been prone to flooding from an existing watercourse which was culverted under the highway and this project was designed to increase the fluvial capacity under the carriageway reducing this flooding risk. 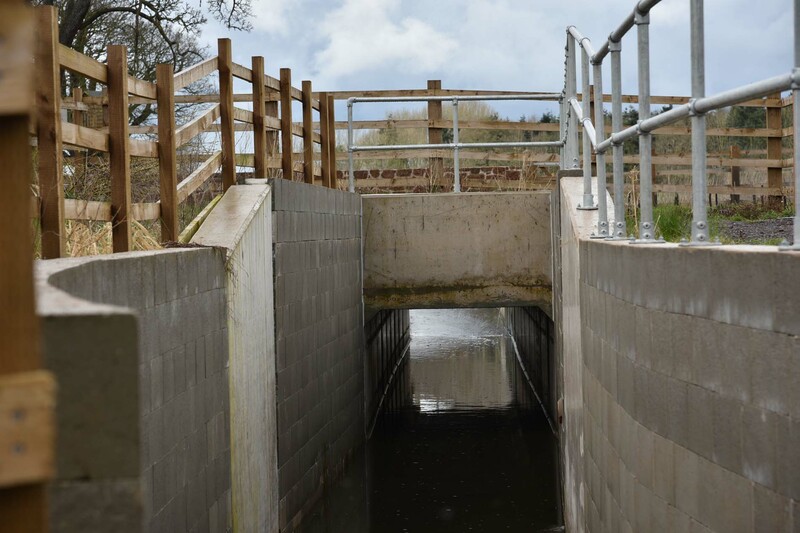 McPhillips constructed 24m of 2.1m x 2.1m box culverts at 4m depth under the carriageway. 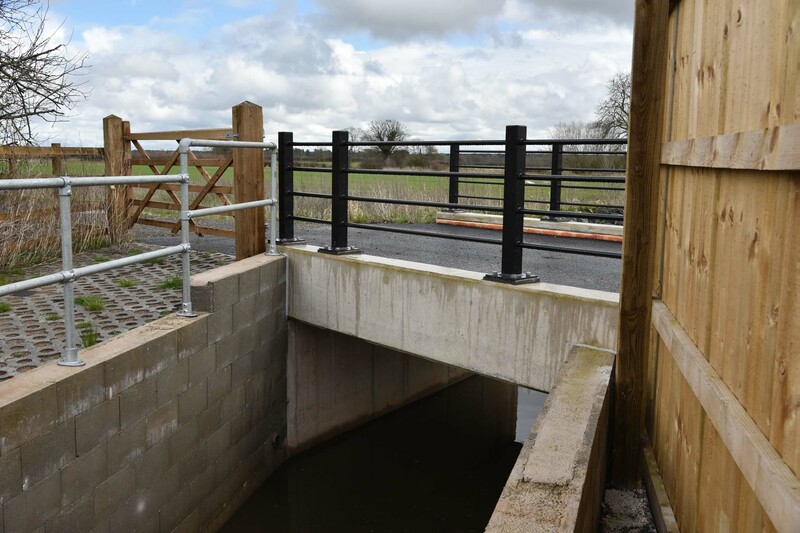 This was carried out using open-cut excavation which required nine weeks of single lane closures under two-way traffic light control. 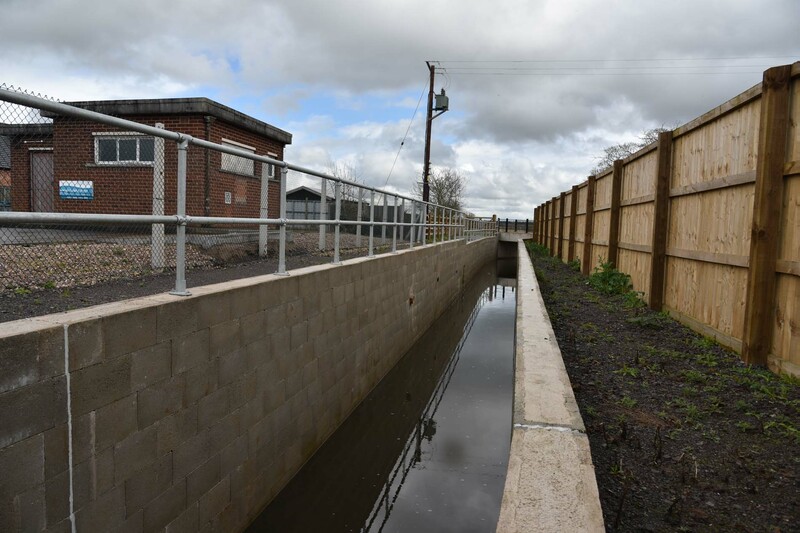 130m of step block was installed to create a U-shaped channel either side of the box culverted section. 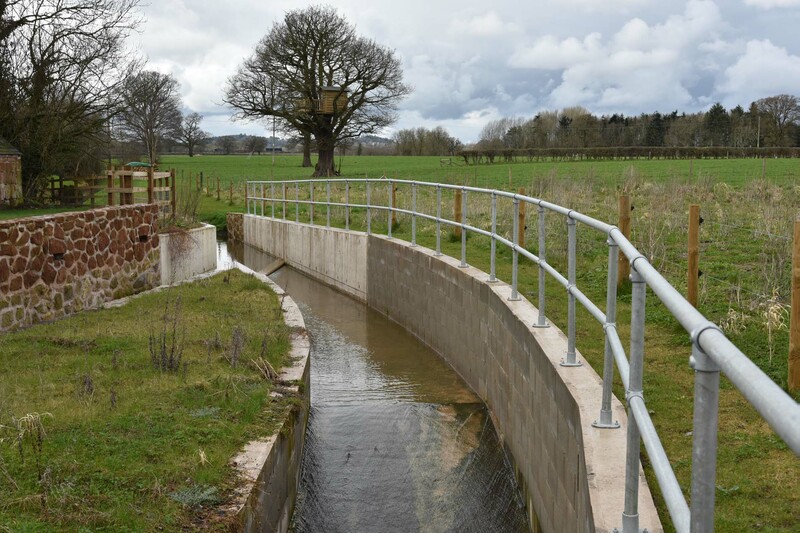 A reinforced concrete bridge was constructed in-situ to provide access to local farmer’s fields. 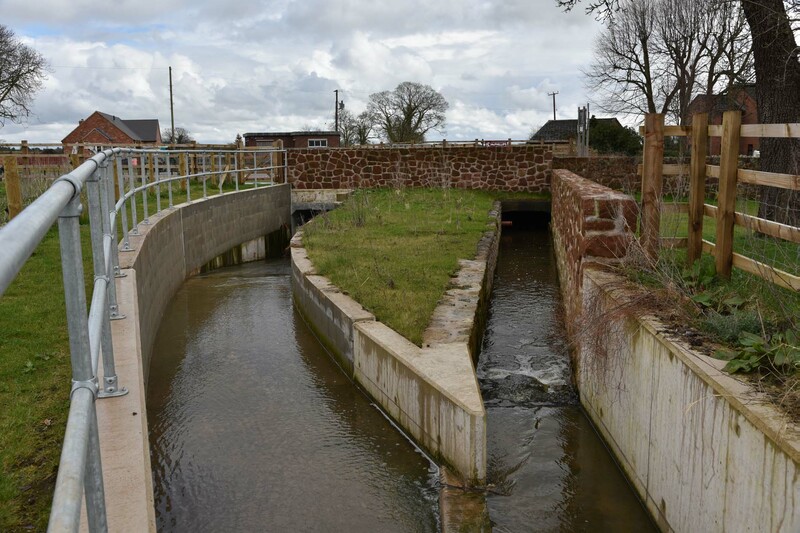 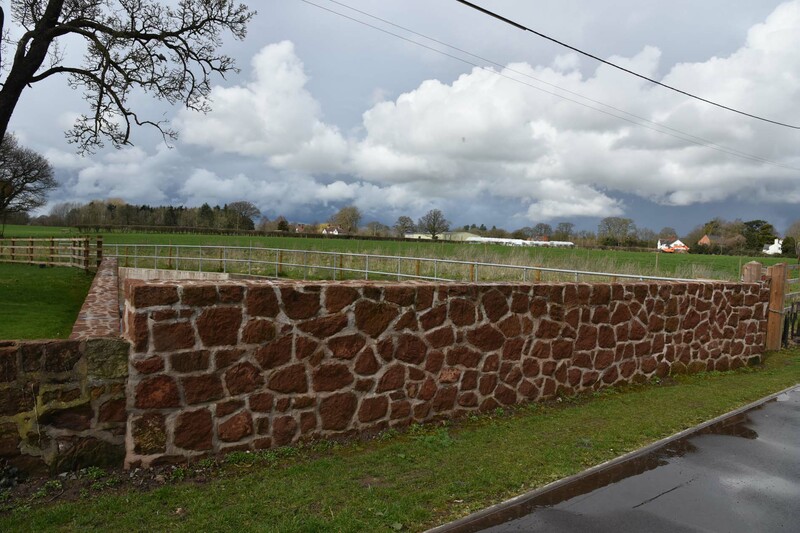 140m of existing bank improvements were made using 60m of willow weave and 108t of rock armour. 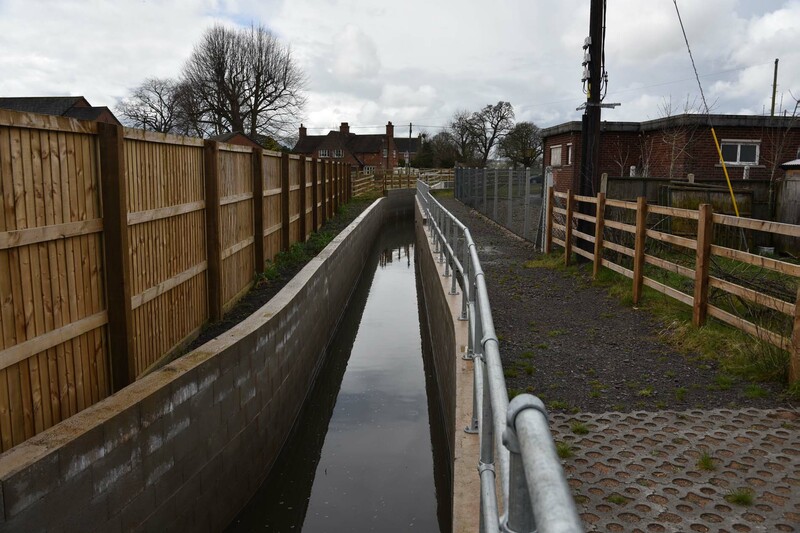 The existing culvert remains alongside the new permanent works and serves as an overflow structure.